NASA’s InSight spacecraft is scheduled to touch down on the Red Planet (Nov. 26) Monday afternoon, complete its seven-month journey to Mars after cruising 301,223,981 miles (484,773,006 km) at a top speed of 6,200 mph (10,000 kph). 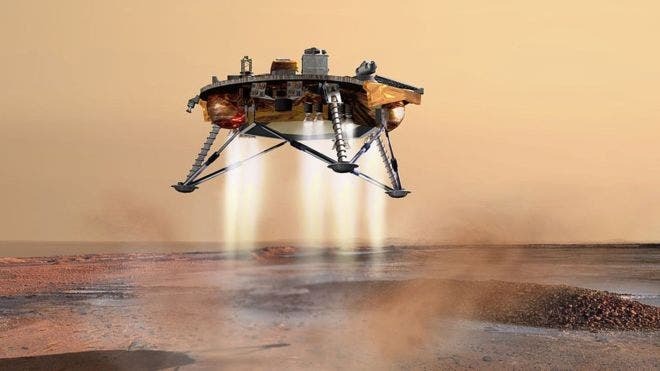 Engineers at NASA’s Jet Propulsion Laboratory in Pasadena, California, which leads the mission, are preparing for the spacecraft to enter the Martian atmosphere, descend with a parachute and retrorockets, and touch down tomorrow at around noon PST (3 p.m. EST). 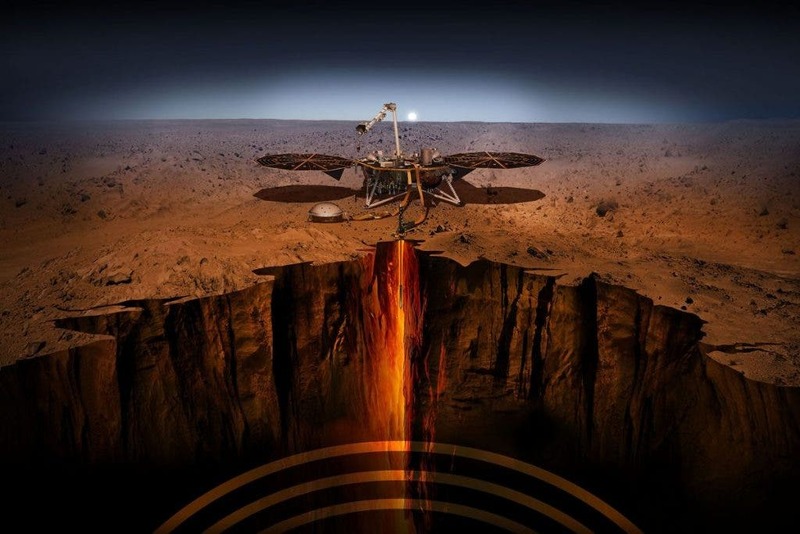 InSight – which stands for Interior Exploration using Seismic Investigations, Geodesy and Heat Transport – will be the first mission to study the deep interior of Mars. Before InSight enters the Martian atmosphere, there are a few final preparations to make. Engineers still need to conduct a last trajectory correction maneuver to steer the spacecraft toward its entry point over Mars. About two hours before hitting the atmosphere, the entry, descent and landing (EDL) team might also upload some final tweaks to the algorithm that guides the spacecraft safely to the surface. It will take two to three months for InSight’s robotic arm to set the mission’s instruments on the surface. During that time, engineers will monitor the environment and photograph the terrain in front of the lander. Back at JPL, the surface operations team will practice setting down the instruments. They’ll use a working replica of InSight in an indoor “Mars sandbox,” which will be sculpted to match the mission’s actual landing site on Mars. The team will check to make sure the instruments can be deployed safely, even if there are rocks nearby or InSight lands at an angle.